Literary Lindsey: It's Monday and we are home! So we went to Disney World. We went on the new Little Mermaid ride, went on Mission Space for the first time, met Belle, Mike and Sully, and Darth Vader, and enjoyed a delicious Dole Whip. That was great...and exhausting. Did I mention that we drove there from New Jersey? That's a lot of driving. It was a great trip, but as David said, "I really missed our home." Greetings from Cinderella's Carousel, a princess, and a jedi padawan! I've heard good things about Station Eleven... and the Disney pic is very cute!!! Station Eleven keeps popping up with me - I really should just read it! 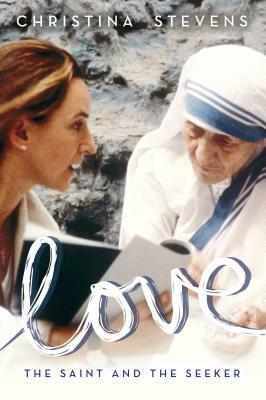 How is The Guernsey book - another with good things I have read! The Guernsey Literary and Potato Peel Society is a really lovely read. It manages to be gentle and kind without making you want to throw it across the room. Whew! I remember well traveling with children...the joy and the pain! Indeed! It is not for the faint of heart. Two weeks on the road with the family? I bet that really was exhausting. Fun, but exhausting. Seeing DisneyWorld through the eyes of your children no doubt makes up for any tiredness, though. I look forward to hearing more about your books AND your travels! Aw Disney! Sounds like you had a great time! 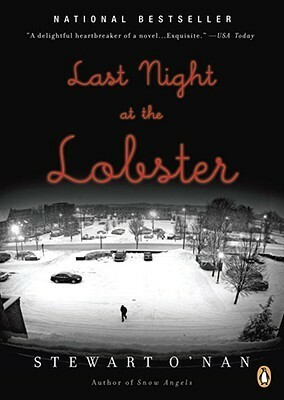 Last Night at the Lobster is going to have to go on my list ~ it also sounds really good! It's not my favorite O'Nan, but it's a short read and he writes great stories. I hope you enjoy Station Eleven as much as I did. 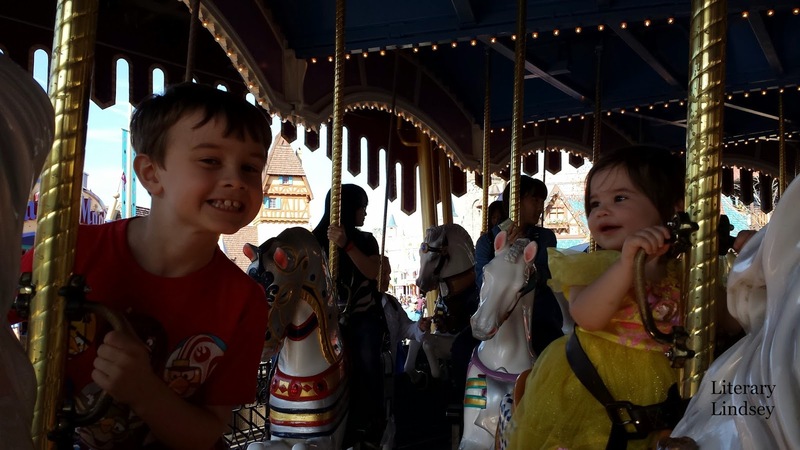 Disney World with kids is the best, I live near, along the coast and we haven't been in years, but my kids have lots of good memories. I'm so impressed with the great back titles you read. I need to grab older books from my shelves, a really bad habit. 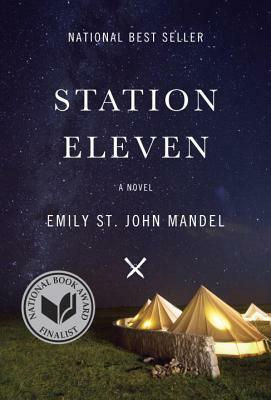 I bought Station Eleven in e book as everyone was raving about it. Someday. I must confess that I grabbed some of the smaller paperbacks from my shelves to travel with, and they just happened to be backlist titles. But I'm glad I read them! 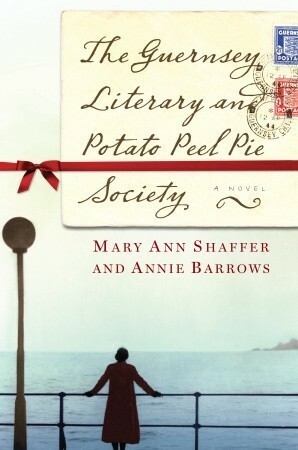 I LOVED "The Guernsey Literary and Potato Peel Pie Society," although it has been years since I read it. I hope top start "Station Eleven" soon, too. It was a really great book. I can see why it got so much love when it came out! I remember really enjoying the Guernsey Literary and Potato Peel Pie Society, but it's been awhile. I can't wait to read Station Eleven. Glad you had fun at Disney! Station Eleven was one of my top favorites for 2014! It is so well-written in its description of what would happen after a pandemic. And I'd forgotten about the Guernsey Literary book! I adored that and am thinking I should re-read it. Has she written anything since that you've read? I know that the one author passed shortly after the book came out. Her niece, the other author, writes mostly books for children. My son loves her Ivy and Bean series! It sounds like you had a great holiday - look at your children's smiles, adorable! I've heard a lot about Station Eleven, it'll be interesting to hear another person's opinion on it.